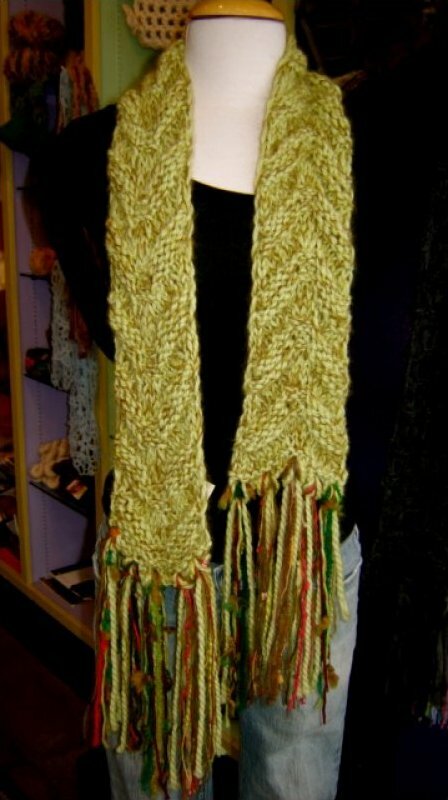 Green Hand Knit Scarf is made from Plymouth Baby Alpaca and Feza Kid Mohair. Fringe is made from complementary colors. Scarf measures 4" X 57" from end to end. 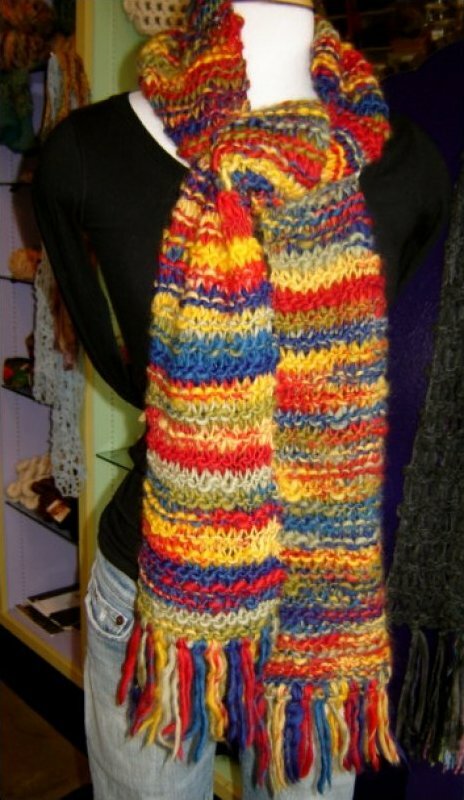 The Naturwolle Primary colors Scarf is red, yellow and blue colored hand spun yarn. 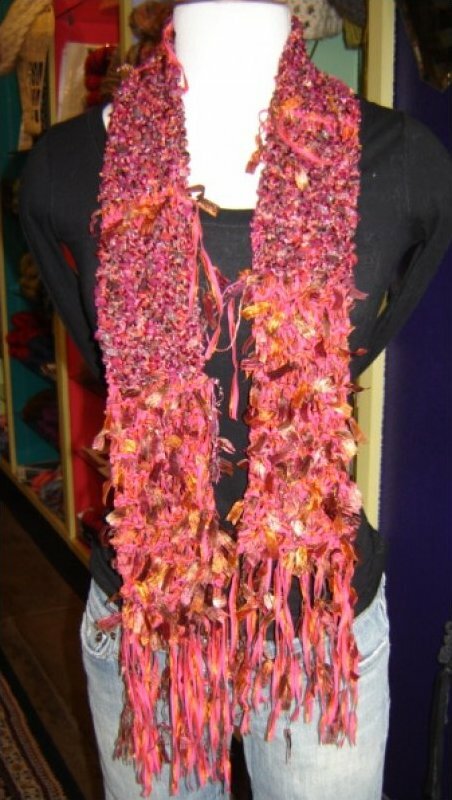 The scarf measures 7" X 65". 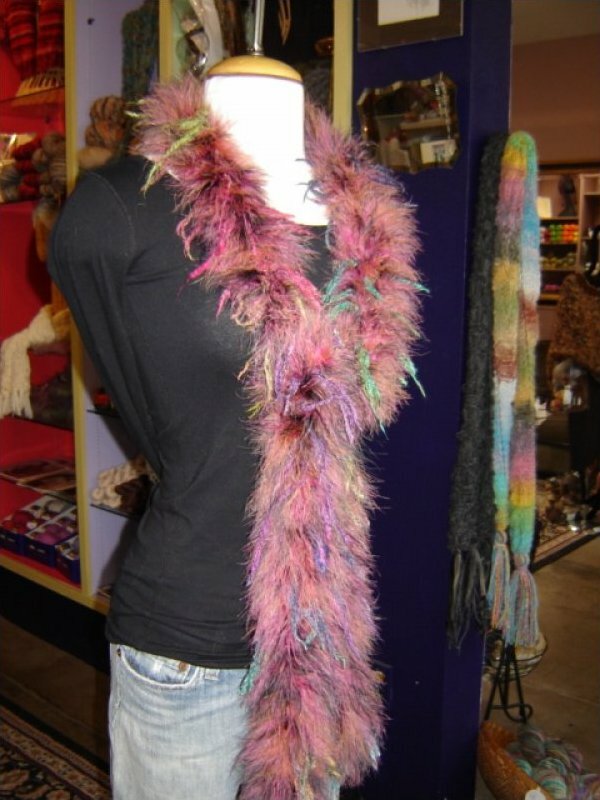 This Noro Super Feathers boa is a natural hand tied feather boa. 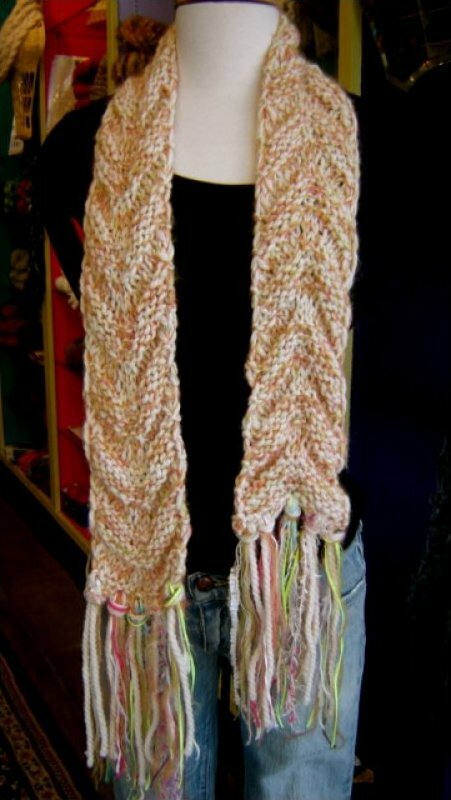 Off-White Hand Knit Scarf is made from Plymouth Baby Alpaca and Feza Kid Mohair. Fringe is made from complementary colors. 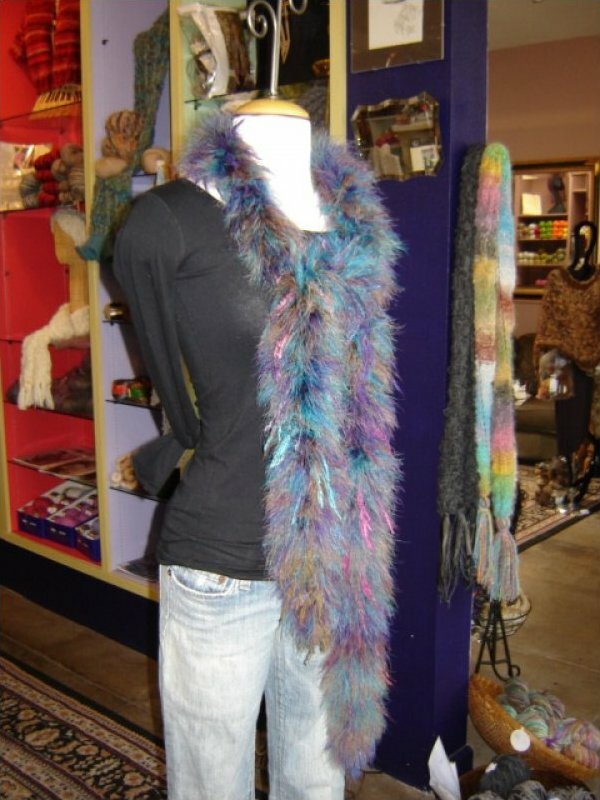 Scarf measures 4" X 57" from end to end. 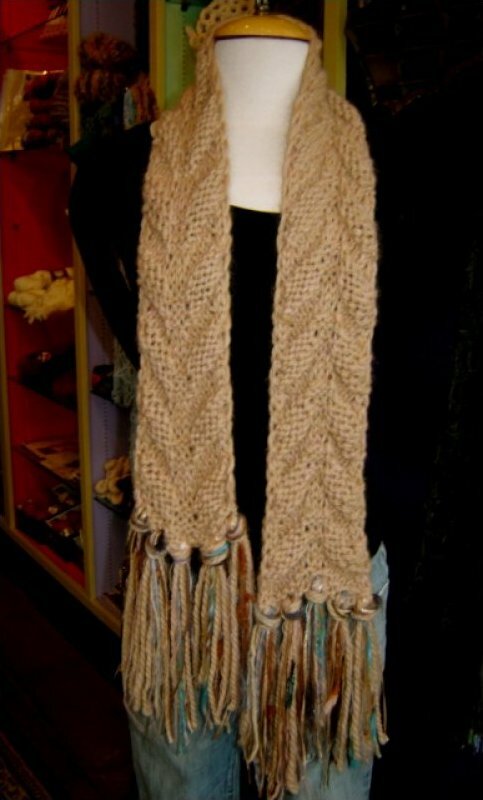 Tan Hand Knit Scarf is made from Plymouth Baby Alpaca and Feza Kid Mohair. Fringe is made from complementary colors. Scarf measures 4" X 57" from end to end.